Tips for a bookish March Break: Hilary was on CBC! Hilary was on CBC’s Ottawa Morning show over the March break.. Tips for a bookish March Break. We ask a local librarian and bookstore manager for their surefire slamdunk reads for kids. Have a listen on the CBC website. There was also an accompanying article with all the details from the radio piece. A local copy of the article and audio are also available if the originals above go missing. Kicking off our new Titles@Table40 season will be John Ibbitson discussing his new book Stephen Harper on Sunday, September 27. 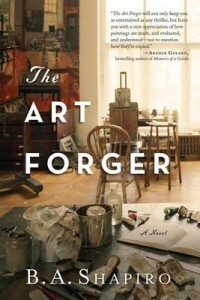 As before, the evening will start at 5:30pm with dinner, followed by the author presentation and book signing. Those who wish to attend must reserve their spot through the bookstore with a non-refundable deposit of $20. 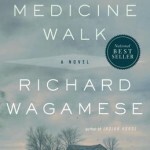 Our Session 1 book club will be discussing Medicine Walk by Richard Wagamese on September 9th. Session 1 meets on the Second Wednesday of the month at 7:30pm in the 2nd floor lounge of the New Edinburgh Square building, also located at 35 Beechwood. Antoinette Fracassi is the session leader. Our Book Club kicks off its fall season starting in September. There are two sessions and members may attend whichever session works better for them. New members are always welcome. Check with the store for more details. 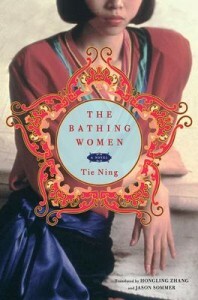 (call 613-742-5030 or email staff@booksonbeechwood.ca). The featured books are discounted in the store each month. We will be closed from 1pm onwards on Friday to attend Peter’s funeral service. There will be a celebration of Peter’s life at Beechwood Cemetery, 280 Beechwood Avenue, on Friday, June 19, 2015. There will be a visitation from 2 p.m. followed by a celebration of life at 3 p.m. and a reception afterward. In lieu of flowers, please consider a donation to the Leading Note Foundation or the charity of your choice. It is with deep sadness and regret that we announce the death of Peter Dawson, on 12 June 2015, following a sudden illness. Peter was instrumental, along with co-owners Brian and George, in saving the Books on Beechwood store when it was about to be closed in December 2012. When the possibility of taking over the bookstore came up, Peter mused that it had been one of his dreams to run a bookstore when he retired. This was a dream that becane reality as Peter always enjoyed new challenges! 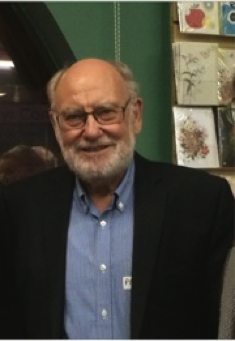 Peter set out to learn about the book industry and he became actively involved in learning the ins-and-out of running a bookstore – from attending book fairs and dealing with publishers to cleaning carpets and ordering supplies. Over the last two years, Peter kept searching for new ways to expand the bookstore’s reach with increased advertising and presence in the community. As an example, Peter revived the Books on Beechwood tradition of bringing in authors for a dinner followed by a speech, first at the Clocktower Brew Pub and then, more recently, at Table 40 operated by Fraser Café. Peter’s love of books and reading was one of the reasons he was passionate about the bookstore. Peter joked that he was the store’s best customer – he was a voracious but discriminating reader sometimes enjoying a book a day on his vacations! Peter had not actually retired when he helped take over the bookstore in 2013, he was still active as Chairman of Iridian Spectral Technologies, a high-tech company that he helped found in 1998. Peter would spend most days either at the bookstore, Iridian or both as the occasion required. Prior to that Peter enjoyed a long career at the National Research Council of Canada where he was first a research scientist and then eventually became the Director-General at the Institute for Microstructural Sciences. Peter had a loving family with his wife of more than fifty years, Marilyn; two daughters, Jennifer and Kathryn; and their families, including husbands Rob and David and three grand-daughters, Anna, Erin and Sarah (also a part-time Books on Beechwood volunteer on occasion!). Peter will be dearly missed by all the staff at Books on Beechwood including Antoinette, Bonnie, Bridget, David, Di, Hilary, Jill, Margaret and Stephanie and also by all the staff and his friends at Iridian. Brian Sullivan and George Laframboise will especially treasure their long friendship with Peter over the years, first at the NRC and then at Iridian and Books on Beechwood. We will all miss Peter’s wisdom, wit and guidance. Sorry folks, our site got hacked twice in two weeks, and we had to reset a bunch of stuff to defaults! Please be patient while we upgrade the site back to a semblance of normal over the next few weeks. Saturday March 30 we are open our regular hours! Monday, April 1 we are open our regular hours! While we are closed, our electronic gizmos are not, so you can still browse, search and order on our online store: store.booksonbeechwood.ca. You can also leave us voice messages and email messages as usual.